Our Exercise COPD & Me exercise classes are a huge success here at Siel Bleu. We currently have 16 COPD classes running which reach about 350 people. This week have a lovely piece written by one of our physical trainers, Michelle. Michelle often works with COPD groups and has seen first hand the positive impact it has had on people with COPD. “As trainers we find new people who join our classes can be a bit apprehensive to join an exercise class as they may be afraid of becoming breathless or have a fear that they will be the only one there feeling a certain way. But as our new participants join, they soon realise that they are capable of exercising at a higher intensity than which they thought. Some people may work at lower intensity than others but they are still surprised at how much they CAN do. 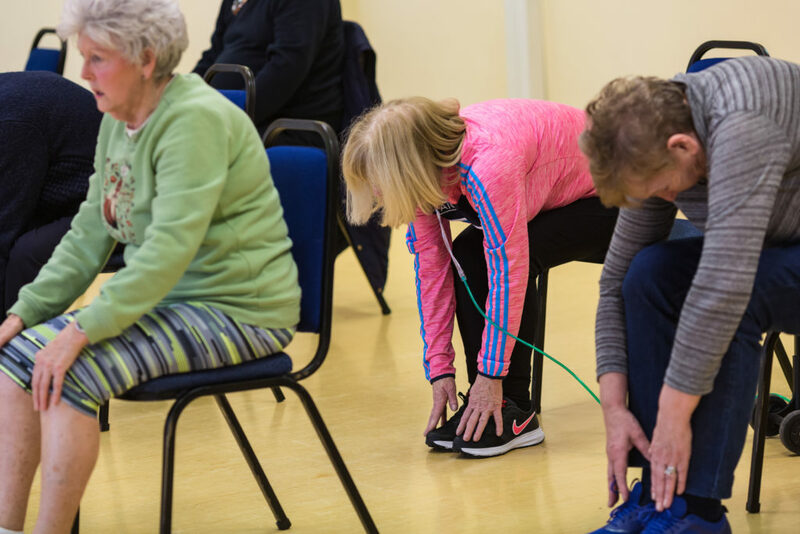 Exercise can help improve physical fitness in people with COPD and it can reduce levels of fatigue, this is brilliant as after the class although they may feel tired after the exercise they also feel like they’ve more energy. Here are some of the quotes from current members of our COPD classes.